Item 1 - blender... my kitchen is yellow, black and white with stainless steel accents (photo here) so I'd really want a red blender. Or a black and steel one. Item 2 - Jamie At Home cookbook... while I want Jamie's book, I'd also appreciate DVDs of his Jamie At Home show and then I can sit back on the sofa and appreciate how there's a Jamie cookbook on my kitchen shelf and a Jamie DVD on the tv stand shelf. Item 3 - Schu flats... I'm a size 36 or a size 6. Schu gift certificates also welcome! Item 5 - Snickers... I'm not a fan of dark chocolate or almonds so the standard ordinary normal Snickers will very much do it for me! Item 6 - I found my sapphire ring and it will be officially mine soon! Yes, I'm buying it, just scraping together some cash to pay for it. Now, in case you saw a sapphire ring for me (why thank you! ), my ring size is a tiny 4, but in case of fat days, size 5 will be safer! And I take back what I said about diamonds--I'd love to have one! Now in case you really truly will indulge me (oh, sweet joy! ), please send cards and gifts to my office: Summit Media, 6/F Robinsons Cybergate Tower 3, Pioneer St., Mandaluyong City. Thank you!!! Seriously, though, I'm getting a bit weirded out about the birthday--nope, not because I'm turning a year older. I've never had a problem with getting older; in fact, I've always hated being so young (it's such a helpless and powerless state, in my experience). But 33 is, well, they call it the Jesus Age--He's saved mankind at 33. What have I done? A celebrity magazine. Okay, so Jesus is a tough act to follow. How about... Angelina Jolie? By the time she turned 33, she had a multi-awarded career, traveled the world, been a UN ambassador, donated millions to humanitarian causes, adopted 3 kids, gave birth to 3, and stole men from their women more than once as easily as if she plucked an apple from a tree! Okay, so the last part isn't so admirable but she sure does put a lot of pressure on 32-going-on-33 me! Why must we have it all anyway? Who made those rules? Can't I just be 33 and be average? Anyway, if you were wondering about Item 4 - free travel... It has been granted!!! I'm flying off to Singapore next week as a special guest of Nuffnang and the Singapore Tourism Board! Now I truly do believe that if you ask, you will receive! That is so great that you get to go to Singapore! Don't let the customs people scare you - hahaha. Frances, my brother got his girl a sapphire engagement ring and it didn't cost him naman a mint. (In case you still want to shop around, there's a jewelry store called Brillo in Greenhills shopping center where we got his! They have different kinds, with different price ranges - some around 5k or 7k even!) It IS a nice alternative to a diamond ring - especially since Vince got you one already! What cut are you getting? 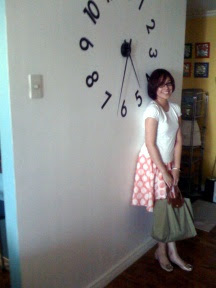 I saw the pic of in your previous blog entry - nice but it looks mahal, hahaha. One of the partners at the office has a gorgeous square sapphire ring - very plain, no other trimmings - and it really stands out! Anna, I bought it na! It's expensive!!! But I love it! Mebbe I'll go check out that Brillo shop... in 5 years! Wala na akong pera!! !